From India, Jeet Thayil is a performance poet and musician, a journalist, an opera librettist and a prize-winning novelist. 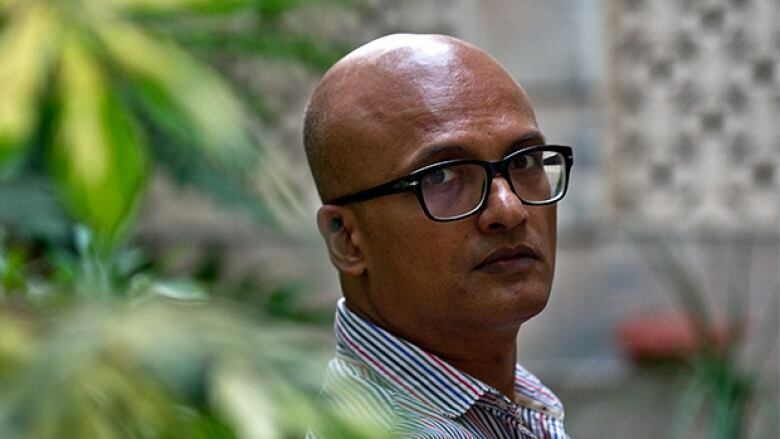 His debut novel, Narcopolis, won the prestigious DSC Prize for South Asian Literature and was shortlisted for both the Man Booker Prize and the Man Asian literary prize. Narcopolis captured broad attention for its intimate portrayal of Mumbai's opium dens and decadent drug scene, and for exploring the culture of India's hijra people, who are often transgender. When it comes to substance abuse, Thayil writes from experience. His work often draws on his years as a drug addict in Mumbai and New York, where he worked for international newspapers and magazines for two decades. His second novel, The Book of Chocolate Saints, was published in early 2018. Jeet Thayil spoke to Eleanor Wachtel at the Jaipur Literary Festival in 2013. "I had a physical reaction upon first hearing a poem by French poet Baudelaire. I had goosebumps. My hair stood on end. I still remember the poem and I remember the lines that I read. It was a translation by the American poet George Dillon, a Baudelaire poem called Le Léthé, which is the mythological river where when you drink from the river you forget everything. The first verse begins with these lines: Come to my arms, cruel and sullen thing. Indolent beast, come to my arms again. For I would plunge my fingers in your mane. And be a long time unremembering. "I have no idea why these lines affected me. I was 14 at the time. Just lucky I guess." 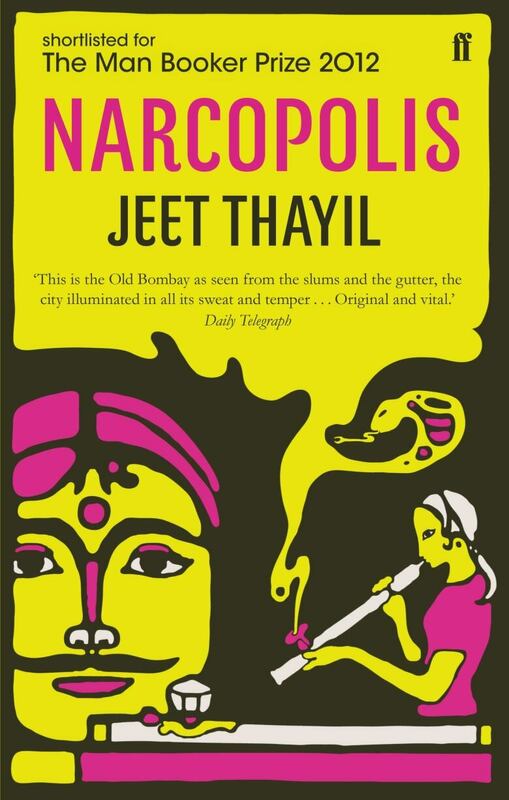 "Narcopolis is based on the reality of Bombay. I'm sure my description of that reality has much to do with a certain romantic idea of Bombay in the '70s, '80s and the early '90s — before it became a location for the Hindu-Muslim war. "The riots started the way most riots in India happen, with a rumour. The rumour was that a Hindu family of six had been massacred by Muslims somewhere. And that's all it took. Soon Muslims were killing Hindus, Hindus were killing Muslims. There was bloodshed on the streets for months. Then there were bombs placed in 13 locations in Bombay and that effectively ended things. It's changed the character of Bombay." "Shuklaji Street was the centre of the opium trade in Bombay. There were around 40 opium dens of different sizes on that street. The men — and they were always men — who lived in that world had been smoking opium for decades. I walked into a room where everything happened on floor level lit by opium lamps. Everything happens on the floor. You smoke and you dream. "I jumped into that world as if I were immersing myself in a warm pool full of amniotic fluid. For me, it was absolutely inevitable. Coming into that world from the world of romantic French poetry, of Baudelaire and Rimbaud, how could I not? I saw it as a literary world. I saw it as a literary setting." "I credit Baudelaire for my interest in poetry. But I also hold him responsible for many wasted years in alcohol and drugs and addiction. Baudelaire​ embodies a certain idea, a romantic idea of the poet as a doomed, tragic figure. The poète maudit, who burns with a flame that expires before you know it and who leaves a legend. It's a beloved figure for young poets especially — they love it and live it. "But it's very difficult to sustain work when you're living that kind of demented life. So when I finally managed to stop drinking and taking drugs, I wanted to write a poem that I think has equal amounts of affection and distaste for this kind of great shadow looming over the speaker." Jeet Thayil's comments have been edited and condensed. Music to close the broadcast program: Dive In composed and performed by Trilok Gurtu from the album Massical.